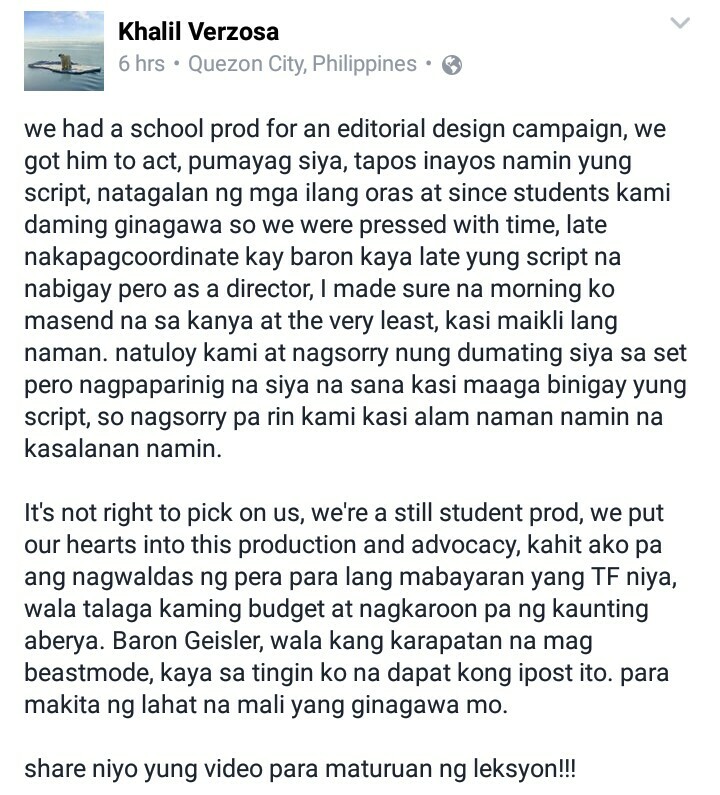 Actor, Baron Geisler goes viral again on social media sites after hurting director of UP (University of the Philippines) student production team. This video (that can be watch below) now gains 16k reactions, 900k views (as of writing) and he was criticised again by the netizens because of what he did. 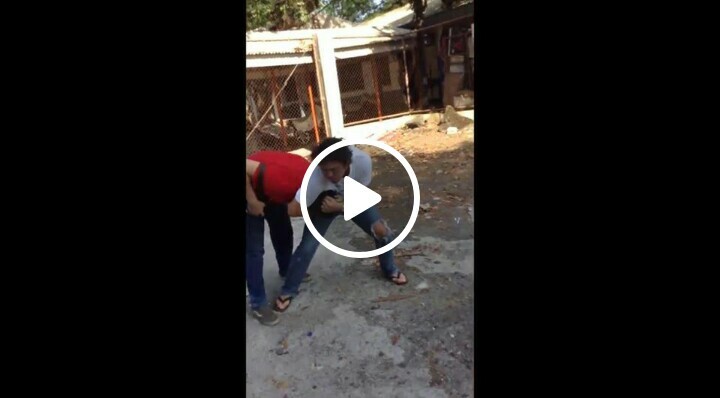 The video was shared by a certain named Khalil Versoza. It seems that he was the one who got beaten by Geisler. "It's not right to pick on us, We put our hearts into this production and advocacy," he said. "Kahit ako pa ang nag waldas ng pera para lang mabayaran yang TF niya' Wala talalga kaming budget at nagkaroon pa ng konting abrya," he added.